The customer service you trust with a global reach — that’s John Daniel International. We’ve delivered the finest fits from the most experienced tailors since 1928. Today, we’re taking those same iconic values international with wholesale made to measure menswear. That means popular price points and legendary craftsmanship from a team you trust. Did we mention we’re also offering the latest in made to measure technology? 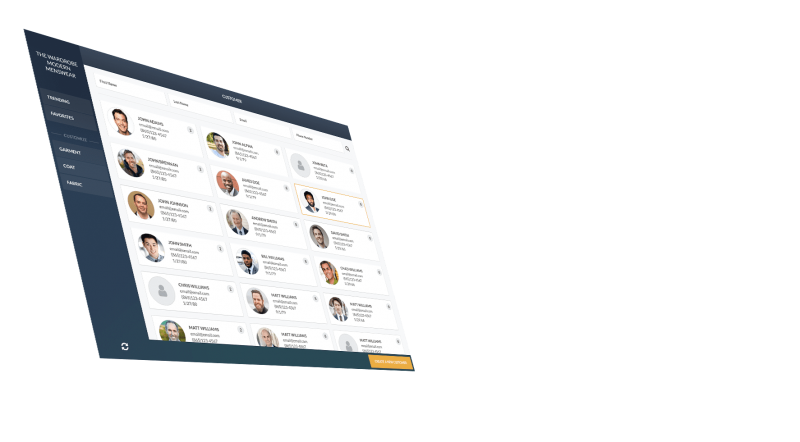 Introducing Atlas, an innovative ordering system that will transform your business. When the journey matters, Atlas delivers. The next generation in made-to-measure suit design, Atlas offers a creative experience you can have in-store, at the office, or on the beach — the sky’s the limit! 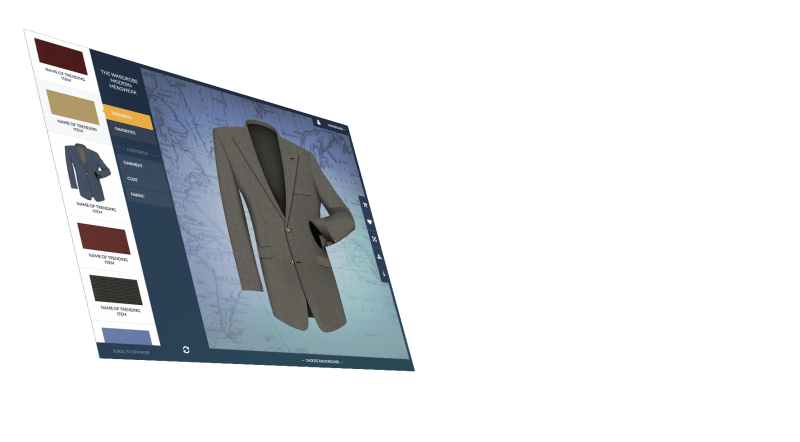 Showcase the finest fabrics on a virtual model in a variety of environments and share designs with your customers. Join Atlas in revolutionizing your business. Because when design and craftsmanship combine, you can take on the world. What are you waiting for? 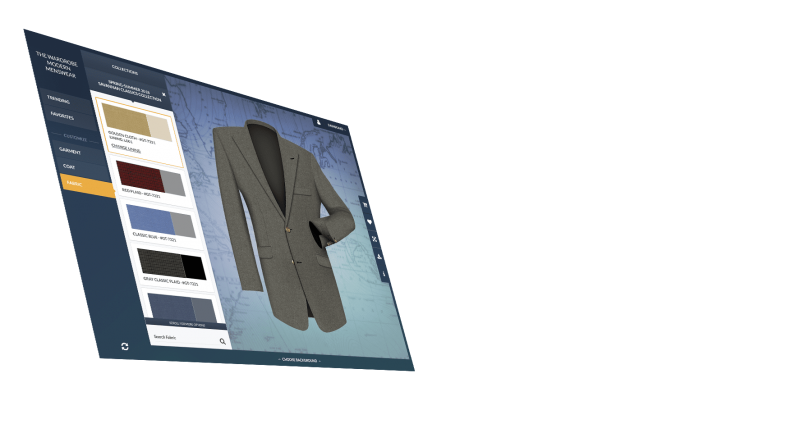 Atlas gives you the ability to create luxury designs on your desktop or tablet. 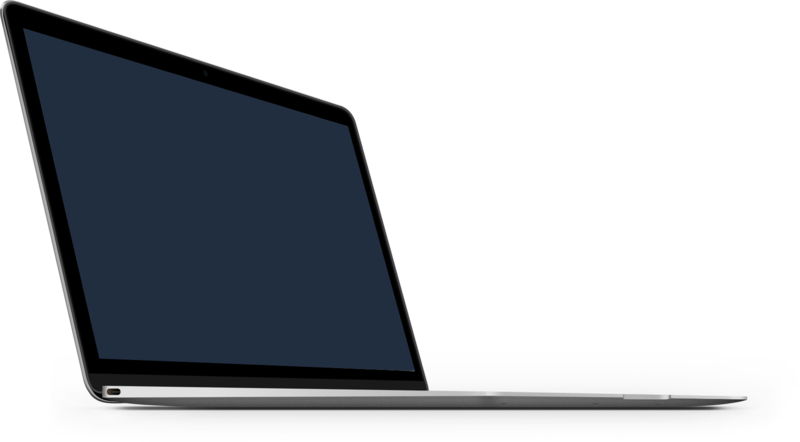 Access Atlas whenever and wherever you need it while maintaining connections with clients. 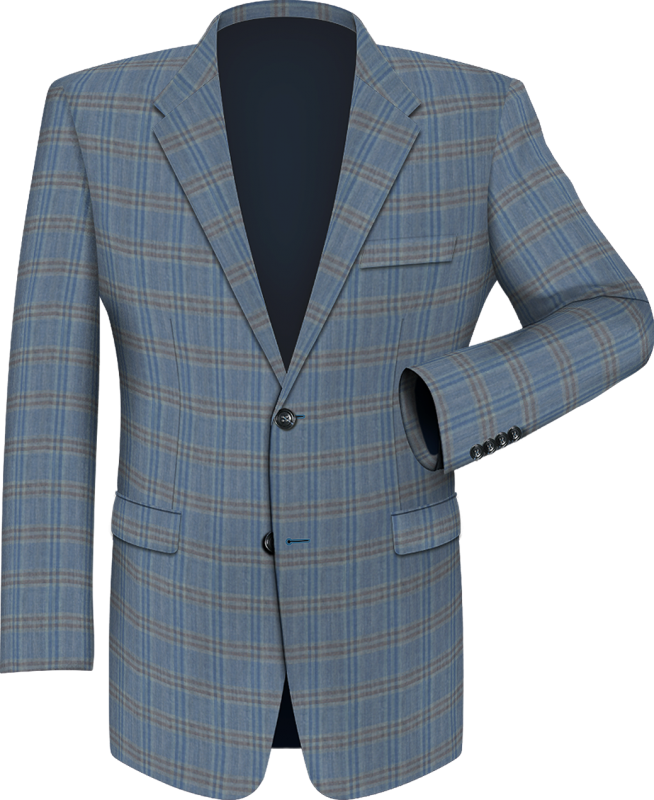 Guide your clients to the appropriate fabrics for the boardroom, cruise ships, and casual dinners. No more imagining a suit in a potential environment. 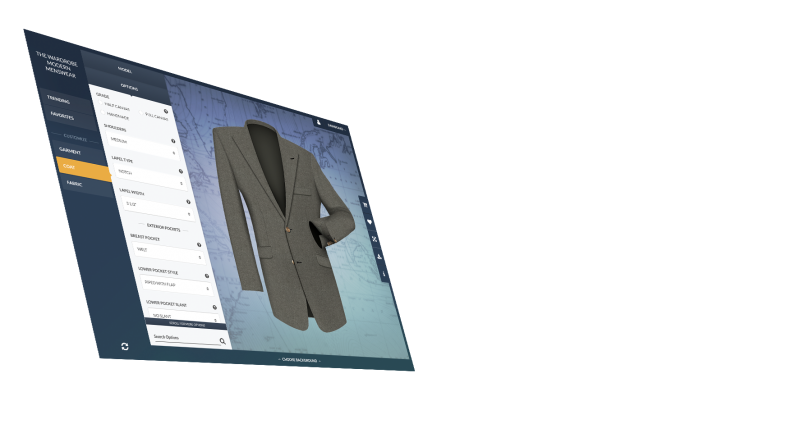 With Atlas, your virtual fit model is placed in a setting of your choice. Share quality designs with prospective clients to establish yourself as a professional clothier. Save time, money, and guess work. 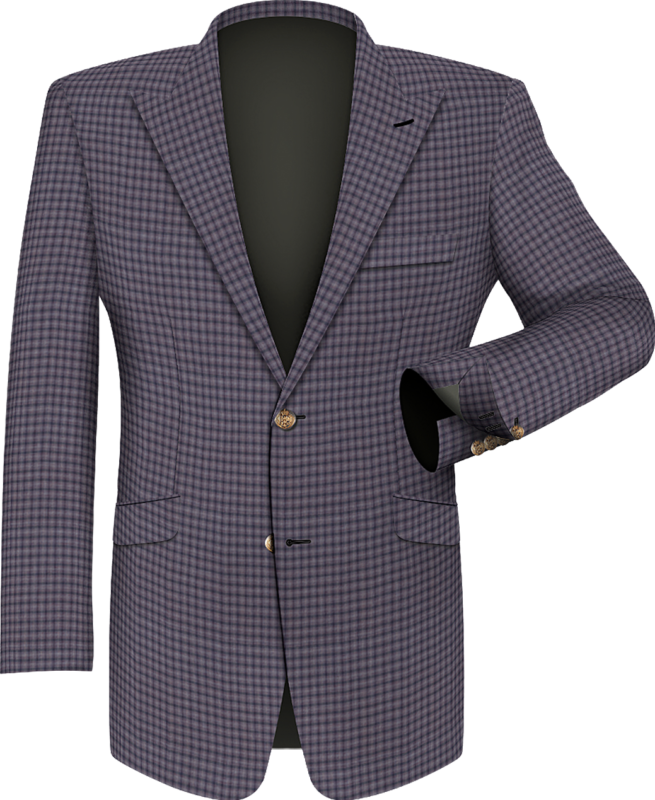 Drawn-out purchasing decisions are eliminated since the client can see what the fabric looks like on a finished garment. Atlas services trusted dealers with world-class fabrics and experienced tailors.